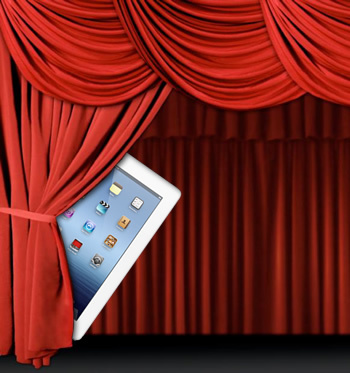 This weekend, Apple is expected to release its third-generation iPad in over 30 countries around the globe. This news comes from MacRumors who discovered Apple's iPad selection page now includes a number of new countries for Latin America. Supporting this speculation is also the recent increase in production volume for iPhones and iPads at Foxconn and timely price cuts on the iPad 2 in the countries where the new iPad may arrive. According to MacRumors, the following countries can expect to receive the latest iPad on Friday, May 11: Argentina, Aruba, Bolivia, Botswana, Brazil, Cambodia, Chile, Costa Rica, Curaçao, Ecuador, French Guiana, Guadeloupe, Jamaica, Kenya, Madagascar, Malta, Martinique, Mauritius, Morocco, Peru, Taiwan, Tunisia and Vietnam. The following day, May 12, is expected to bring Apple's shiny tablet to a number of Middle Eastern countries: Bahrain, Egypt, Jordan, Kuwait, Qatar, Saudi Arabia and United Arab Emirates. Missing from that list, of course, is China. Other countries you might expect on the list such as Honduras, Indonesia, Nicaragua, Paraguay and the Philippines also appear to be absent. Although onlookers can only speculate as to why it's taken this long for the iPad to infiltrate some of these International markets, Apple may have been waiting for display manufacturers to take a breather. A couple of months ago, there were reports that manufacturers were having difficulties producing Retina (ie. high-resolution) displays at the volume Apple needs -- that's without 30 other countries buying iPads. Additionally, varying regulations and certification requirements across political borders is unlikely to be helpful, either.